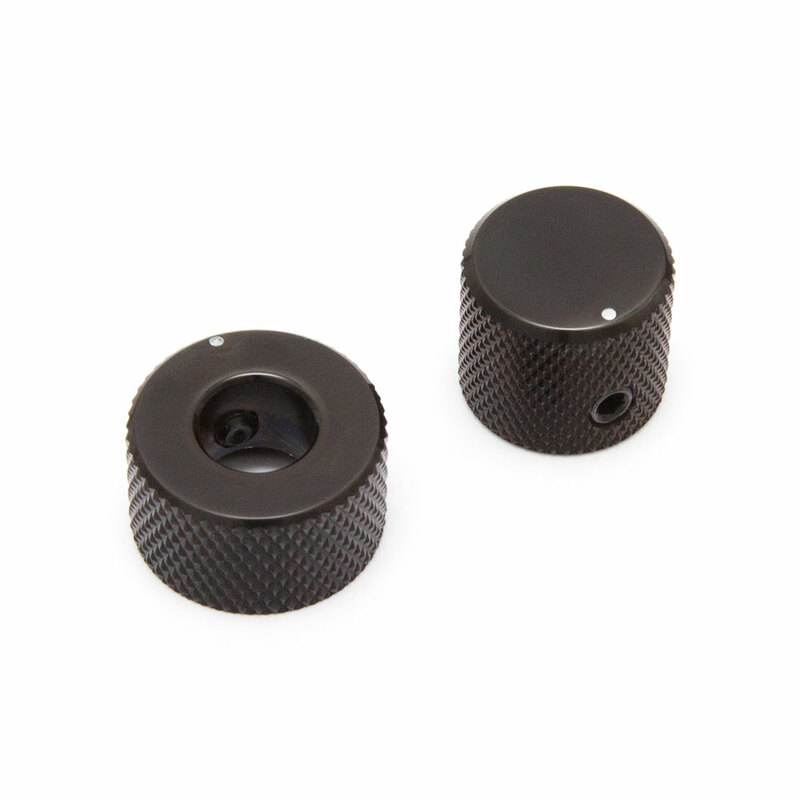 The Gotoh VK15T & VK18T are a set of 2 concentric stacked knobs for use with dual control concentric potentiometers. All metal construction with a knurled edge to give grip and a set screw on each knob to tighten it onto the potentiometer. The top knob fits a 6 mm shaft and the bottom knob fits an 8 mm shaft.